I was a bit lost walking around in this plaza off LA's most congested main streets, Wilshire Boulevard, so I had to text a K-Town native friend to confirm I was in the right place. FIG Tip: Ask for directions! 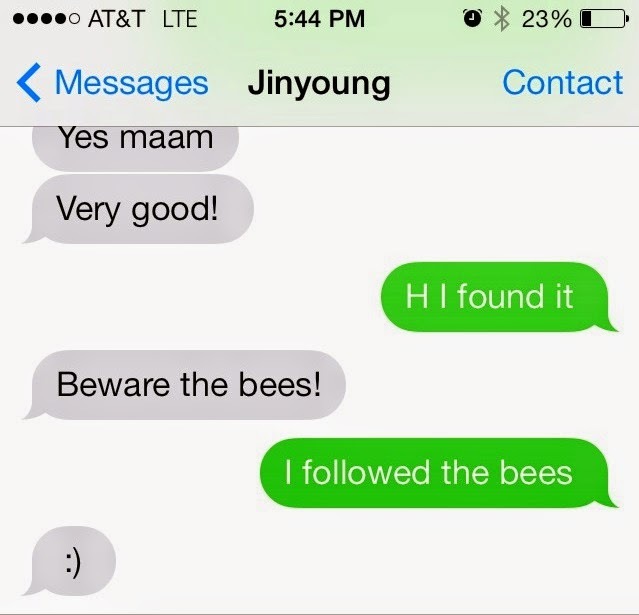 As I looked up from my phone, I see a buzzing little bee float in front of me. Yup, it's gotta be somewhere around here. Follow the march of the bumble bees! 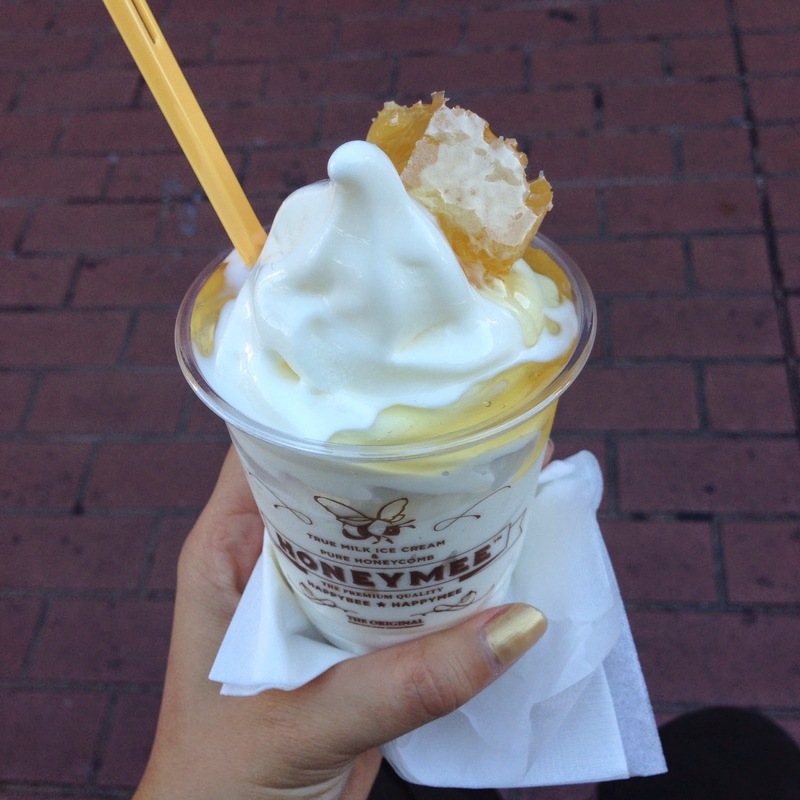 HoneyMee is an ice cream shop that offers milk ice cream with a swirl of honey and a honeycomb on top. Now, I don't really care for honey that much, but I couldn't get enough of this pairing! 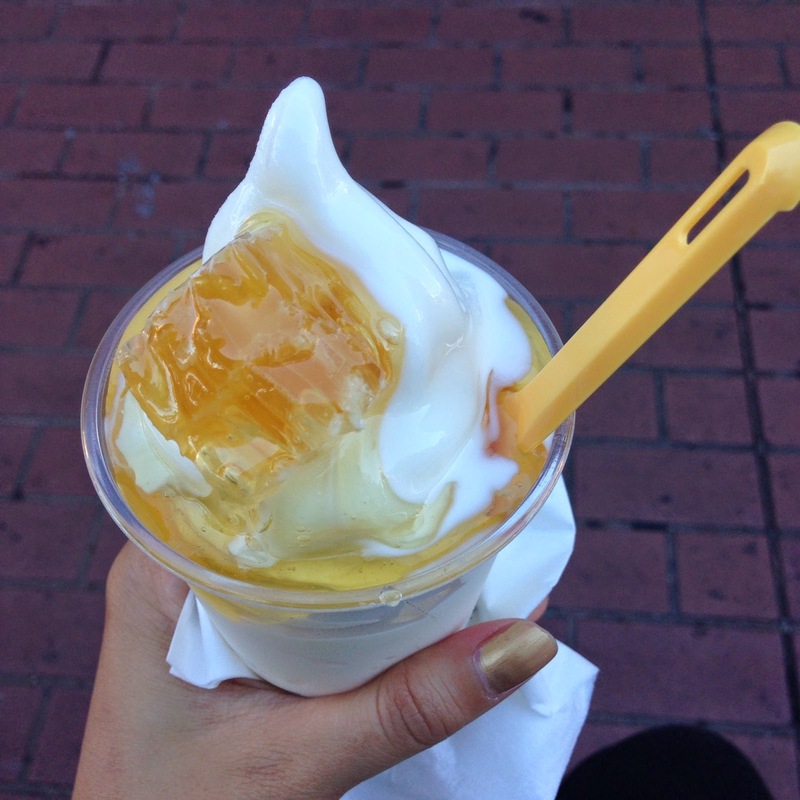 The "True Milk" ice cream is HoneyMee's pride and joy, and with great reason so, because it really tastes like the milkiest milk served as a frozen treat. Apparently the milk is produced from a family owned, Kosher dairy factory in California. If you're a bit skeptical about the honeycomb topper, you can choose not to order one but, of course, that wouldn't be a very cool Instagram pic now would it? Just get the 100% pure honeycomb, it's kind of the main attraction. HELP! 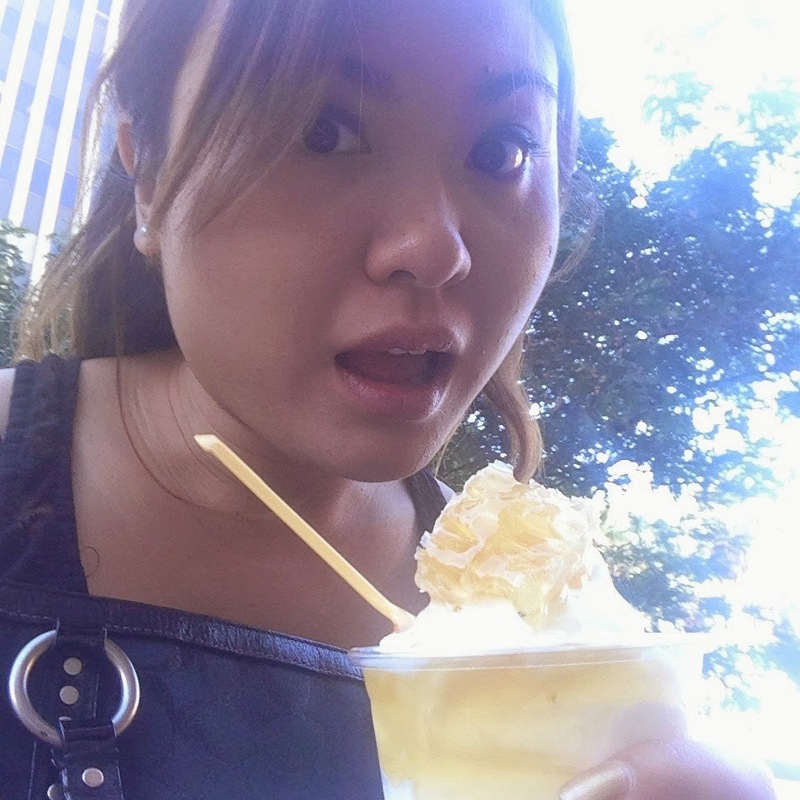 The bees keep coming near my ice cream! 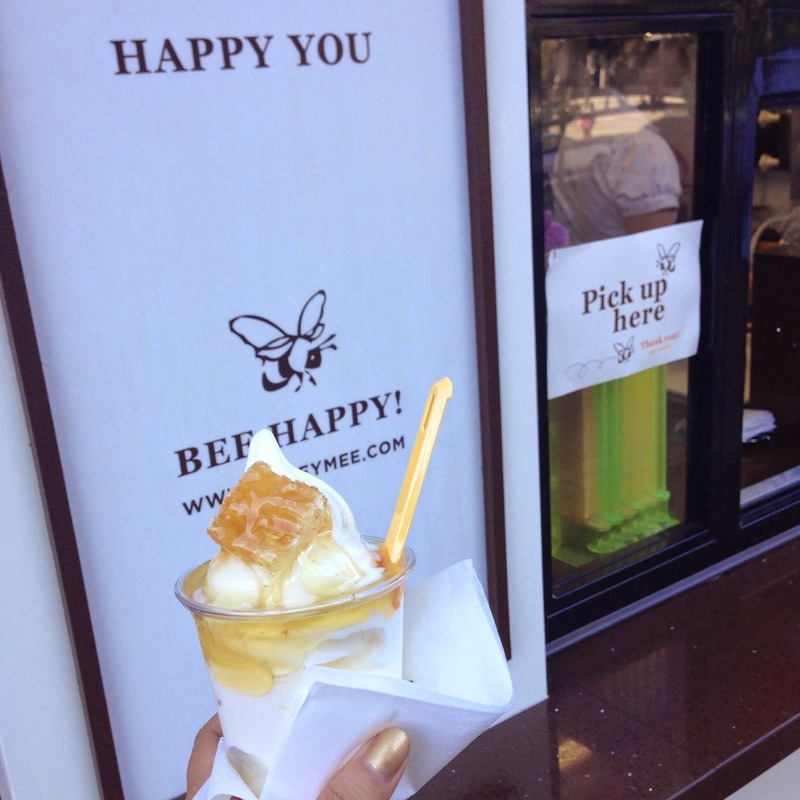 **CAUTION: When eating at HoneyMee, be aware of all the bees hanging out there. They really have a thing for the honeycomb on top.